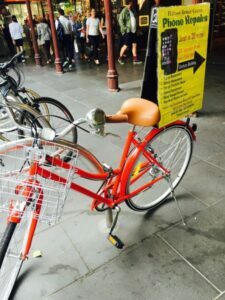 Keep an eye out for our cute little red bicycle on Swanston Street! Its right outside our building, and should point you in the right direction if you’re a little lost. We’re located close to the corner of Swanston Street and little Collins street, right in the middle of Melbourne CBD for your convenience. Our offices and repair store are on the second floor of Century Building, in room 206. To access our floor, catch the lift and press level 2. From Flinders Street Station, cross the road and walk up Swanston Street (directly opposite Flinders Street Station). Keep walking up Swanston Street, past Collins Street. We are located on the left side of the street. From Melbourne Central Station, exit on to Swanston street and walk down past little Collins Street. We are on the right hand side of the road when you are walking down from Melbourne Central. Look out for our red bicycle to point you in the right direction! 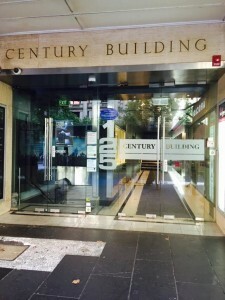 Suite 1407 / level 14th of Exchange Tower located at 530 Little Collins Street (between William and King Streets).